In this guest blog, TEKTELIC Communications presents its role in The City of Calgary’s smart city based on LoRa Technology. Learn more about the Smart City of Calgary and stay tuned to Semtech’s blog throughout December for more stories about #SmartCalgary. TEKTELIC Communications Inc. is proud to have partnered with The City of Calgary in its exploration and evaluation of Internet of Things (IoT) solutions. At TEKTELIC, we pride ourselves as an agile solutions provider for custom, end-to-end IoT development, which enabled us to collaborate with The City on a range of different solutions. In early 2016, The City of Calgary began an IoT investigation project which aimed to evaluate the capabilities of Semtech’s LoRa® devices and wireless radio frequency technology (LoRa Technology) for various municipal use cases. The intention was to launch a series of Proof-of-Concept trials to tackle a diverse set of challenges facing municipalities today. Coincidentally, at this same time, TEKTELIC was already designing and manufacturing a range of carrier grade LoRa-based gateways and moving into the development of full IoT solutions. We were selected by The City through a Request for Quote process, and the timing of this connection couldn’t have been more ideal for both TEKTELIC and The City of Calgary. This collaboration presented us with real-world applications that could benefit from the application of IoT, and LoRa Technology appeared to be the ideal platform to tackle these challenges. 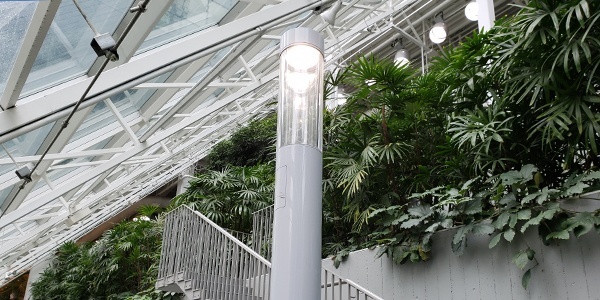 For starters, The City needed to monitor various environmental metrics in an indoor garden located downtown Calgary called the Devonian Gardens. TEKTELIC developed a solution for the sensing technology, network connectivity and backend software infrastructure that was required to test the IoT technology in the field. Not only did this challenge give us an opportunity to develop a full, custom IoT solution from the ground up, it also allowed us to evaluate and better understand LoRa as a technology and provided valuable insight into the benefits and capabilities of the platform. The City of Calgary also launched numerous LoRaWAN™-based coverage studies around The City in various indoor and outdoor environments which were extremely beneficial in helping us to identify LoRa as the technology of choice for our new venture into the IoT space. 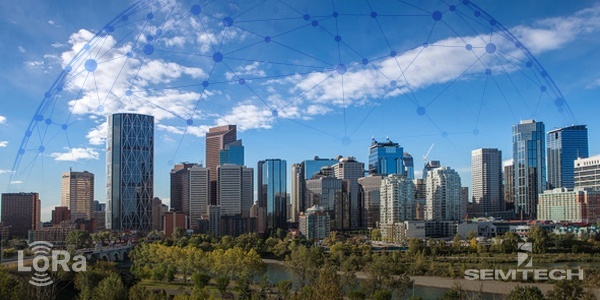 In addition to providing The City of Calgary with LoRaWAN-based network hardware and backend infrastructure for this project, TEKTELIC also aided with system integration, allowing us to gain an exceptional understanding of what is truly involved in deploying a LoRaWAN-based network. Having the opportunity to design and develop a full end-to-end IoT solution, and collaborating with The City of Calgary to have this solution deployed and tested in a real-world environment was an invaluable experience for TEKTELIC. The City of Calgary utilized components of the custom LoRa-based technology we developed for other municipal applications including cart tracking at municipal golf courses and the integration of accessibility technologies for disabled workers and guests in municipal buildings and offices. Collaborating with The City of Calgary on these projects not only gave TEKTELIC a great opportunity to design, develop and deploy a custom end-to-end IoT solution in a live environment, but also gave us valuable insight into working with a municipality and the intricacies involved with this. The overall experience has been exceptional and has contributed greatly to our success as an IoT solutions provider. We sincerely thank Nan Xie, Colin Adderley and the team at The City of Calgary for involving us in this project. IoT and LoRa Technology specifically are re-shaping the Smart Cities space by providing a long range, low power solution to collect, analyze and understand data for an immense number of applications and solutions. We look forward to tackling the future challenges and opportunities that are being uncovered and are grateful to have a partner in The City of Calgary to work with in this exciting time of growth for IoT and LoRa Technology. TEKTELIC Communications is a premier supplier of complete End-to-End IoT solutions. With a focus on providing ‘total solutions’ TEKTELIC leverages its world class IoT gateways, sensors and software to create enhanced value for its clients. With a strong commitment to quality, engineering, and service excellence, clients are assured TEKTELIC’s IoT solutions will meet the current and future needs of their business. Visit www.tektelic.com for more information.